1.1 CK & JS Brown t/as Elms Farm are committed to safeguarding the privacy of our website and visitors. 1.4 In this policy, "we", "us" and "our" refer to the Elms Farm website. 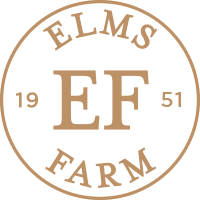 For more information about Elms Farm and how to contact us, see Section 14. 5.3 Your data is also stored on secure computers in our offices in Elms Farm, Costock. (a) to help us to analyse the use and performance of our website and services (cookies used for this purpose are: Google Analytics. (c) by telephone, on the contact number published on our website from time to time; or 01509852785. (d) by email, using the email address published on our website from time to time; or info@elmsfarmcostock.co.uk.